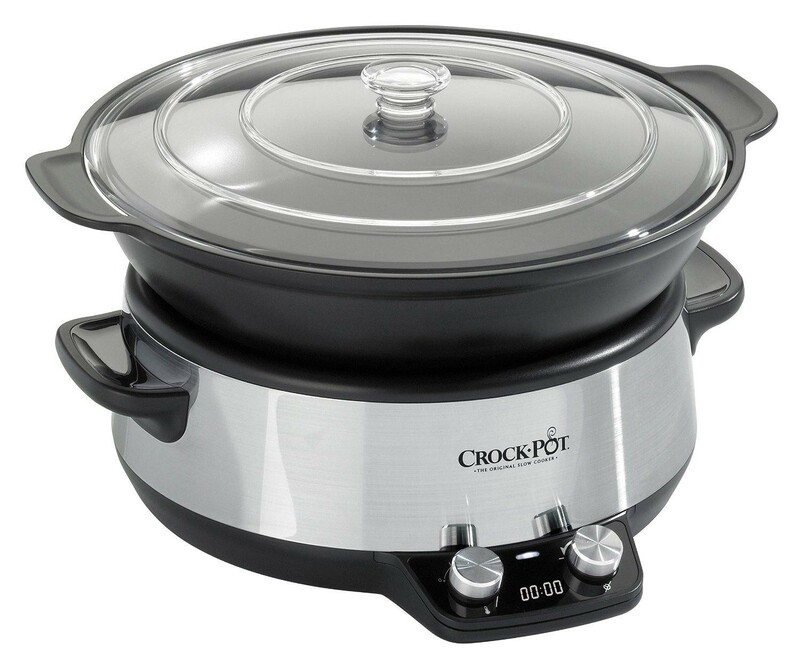 The Crock Pot CSC011 Digital Sauté Slow Cooker Digital Display Timer Dishwasher Safe gives you an easy way to cook nutritional meals. Prepare your favourite slow-cooked meals using just the pot. You can sauté your food using most cooking appliances, and then use the same bowl in the slow cooker to complete the meal. Set your cooking time using the digital timer and never worry about your food being over-cooked. Once the cooking time has finished, the slow cooker will automatically switch to keep warm mode, so if you need to pop out while your food is cooking, it will be perfectly cooked and waiting for you when you get back. The borosilicate glass lid can withstand extremely high temperatures, and lets you see how your meal is doing without removing the lid, so heat and nutrients do not escape. The die-cast, non-stick aluminium bowl is safe to use in the oven, so if necessary, you can finish your meal off under the grill. You can also put the bowl in the fridge or freezer for storage.